The Creative City International Conference 2009 in Yokohama successfully ended on September 6. On behalf of all the Organizing Committee members, we would like to express our most sincere gratitude to all the Conference attendees and participants. As suggested by the title “Creativity Moves the City”, creativity has the power to generate new urban dynamism and values as well as civic consciousness. Led by this conviction, the City of Yokohama has been an innovator in developing and promoting Creative City initiatives in Japan. Through the organization of this major international conference, the City of Yokohama hopes to bring its cultural policy one step further by addressing the challenges faced by other cities in Japan and overseas. The Conference will also provide networking opportunities for those promoting Creative City initiatives locally and internationally. Professor Sir Peter Hall, Born in 1932. Teaches at the Bartlett School of Planning in London, and is renowned as a specialist of the economic development of metropolitan areas and the concept of “World cities”, on which he has published many books. With his striking Cities in Civilization: Culture, Technology, and Urban Order, he has offered new perspectives on contemporary creative cities research. With the creativity of culture and industry as a basis, he analyses the history of mankind through the history of representative cities. The environment surrounding cities is changing dramatically as there is no end in sight to the economic turmoil and nations shift from an era of growth to an era of contraction. Before discussing visions for the city, we must take a serious look at what kinds of social systems are needed today. This panel discussion will focus on the social systems needed for a more creative society to be built. Architect, President of Toyo Ito ; Associates, Architects Co., Ltd. The officials of Japanese and international cities having a particular focus on creativity will discuss the possibilities and future of Creative Cities in a period of economic decline. Adviser on Economic Affiars and Creative Industries to the "Grand Lyon"
The arts have great educative value, and policies to expand partnerships among the public and the private sectors, schools, and artistic institutes are being adopted worldwide today. In this context, we aim to develop a society where cultural resources can be used creatively in communities and schools, so that learning becomes an even more enjoyable, rewarding, and fulfilling experience. This working group will discuss the new forms of learning needed today and the possibility of creating them. We will look at creative frameworks to transform everyday things in communities into resources that can be used for learning and enjoyment. Started in 2006, the “Formation of Creative Core Areas” project was Yokohama’s first project under its Creative City policy. The project has been extremely fruitful thanks to partnerships between the city administration and art NPOs, like BankART 1929, Zaim, Steep Slope Studio, and Koganecho Bazaar. How should we proceed with this project from here? How can we enable citizens to benefit from these kinds of art initiatives? By gathering together leaders of Japanese and foreign alternative art spaces, we seek to build an international network to discuss common issues and the future of art initiatives. As shown by the success of European Cultural Capitals, an increasing number of cities have managed to transform their image through the power of culture, and to innovate by increasing their visiting population. At times of intercity competition, image strategies have been very important. Furthermore, the initiatives of Western cities to stimulate civic pride reveal that image changes lead to increased attachment to the city and a new civic consciousness. This working group will discuss city image strategies needed during economic recession. Any sizeable city’s local industry is complex, encompassing a broad range of businesses. With the industrial structure facing a period of change, can creative industries become new drivers of the city economy? Case examples and the realities of various sectors in the EU, Asia, and inside Japan will be presented and analyzed for a discussion about the potential and future of local industries based on creativity, and design in particular. Throughout the world, social entrepreneurs and others try to meet social and local needs by generating innovative techniques. We can learn a lot just from their work to tackle issues with creative ideas, but it is also important to seek and share frameworks and mechanisms to support and spread their efforts. How can we create contexts and environments where creative activities will naturally arise? What kinds of organizational frameworks and networks are needed? Discussions will be based on the current situation in various countries. Today we are transitioning from a period of growth to a period of contraction and maturity. For this reason, cities are seeking urban visions adapted to the new urban and industrial structures. As has been brought to light by waterfront development projects in port cities where harbor and industrial areas have been transformed into zones that combine cultural institutions and new industries, a well-defined spatial strategy for culture is essential for a new city vision. This working group will focus its discussions on the role of spatial strategies for culture in developing visions of the city that differ radically from previous ones. 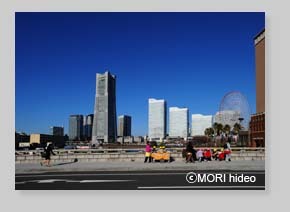 copyright(c)2009 Yokohama Arts Foundation All rights reserved.